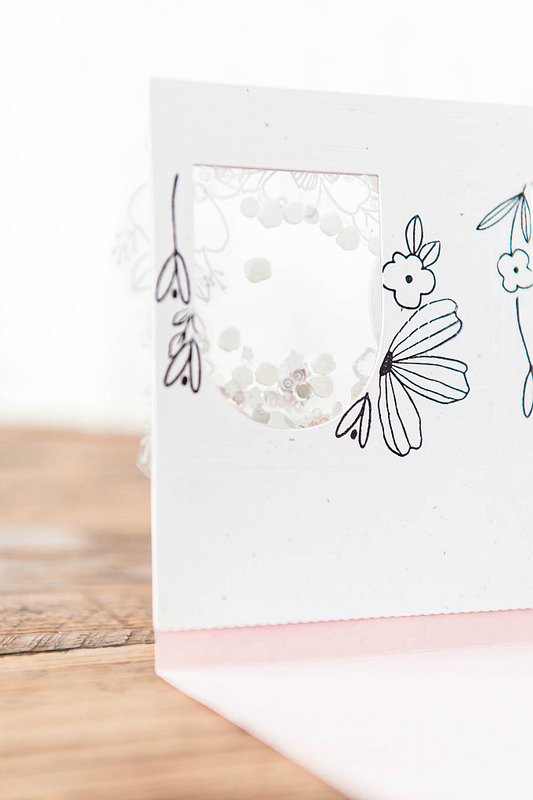 To make my card, I started with the beautiful Merry and Bright Toy Shoppe die and cut two pieces. Before adhering them to make my shaker 'windows' I did a little bit of decorating. 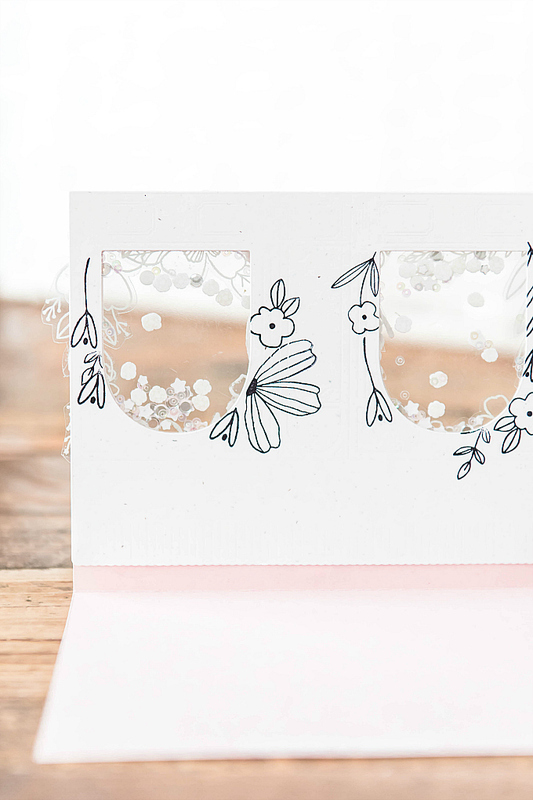 I used a black fine tip pen to accentuate the de-bossed details on one panel, and on the other panel, I stamped the beautiful Fleur 1 florals. I then cut 4 individual piece of acetate, just large enough to cover the windows. I adhered each acetate piece to the back of the panels, so that each window was covered. I also cut and scored a card base out of soft pink cardstock, but trimmed the front panel to about 2 inches, so that I could easily sandwich it between my two shoppe front panels and create a folding card. I sprinkled in some sequins and embellishments, and adhered everything together with some hot glue. After this step, I did a bit more decorating to finish off this sweet card. 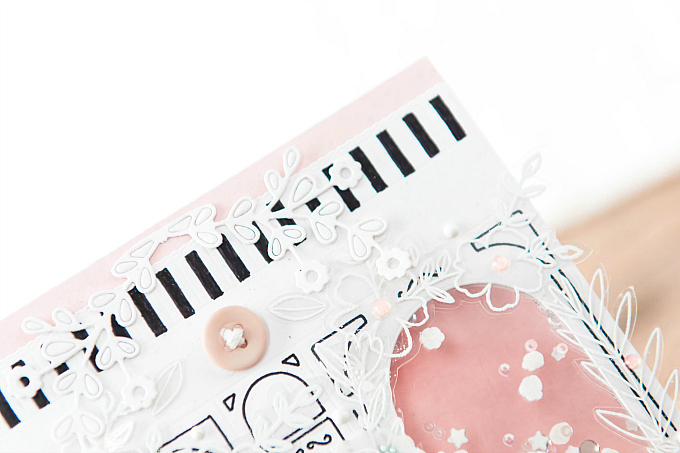 I also added a little button, along with some Fleur 1 florals heat-embossed on acetate and fussy cut. 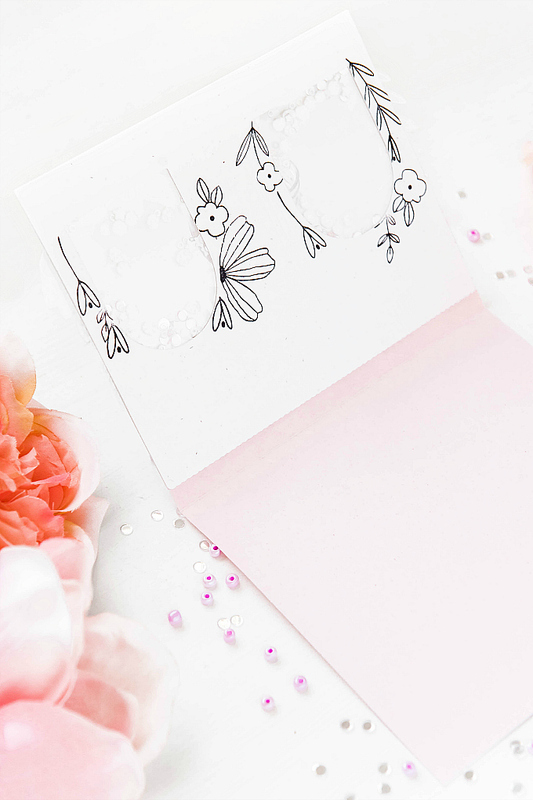 I loved that the sweet Rose jewel drops matched my cardstock perfectly so I added a few of those! 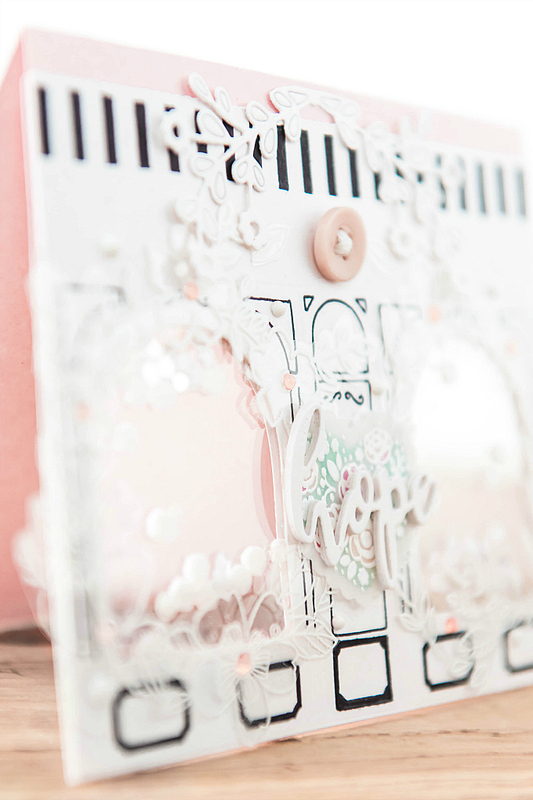 And lastly, I added a die-cut stacked word, as well as a heat embossed sentiment at the bottom of the card! Hope you enjoyed today's fun card! 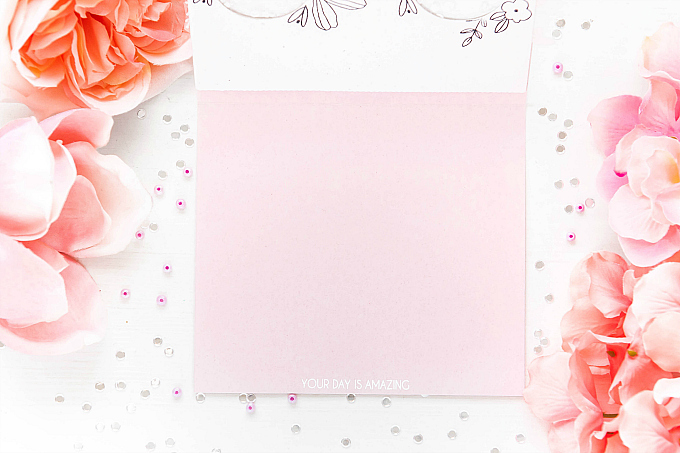 Do you like the idea of adding shakers to just a portion of your card? 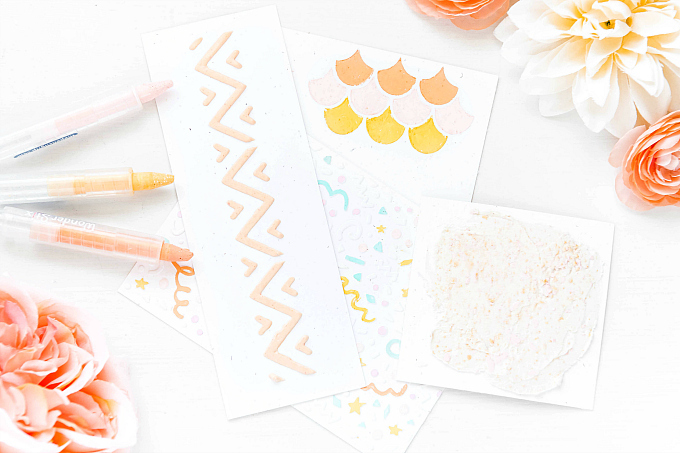 If you give this a try, share it with us by tagging it up! 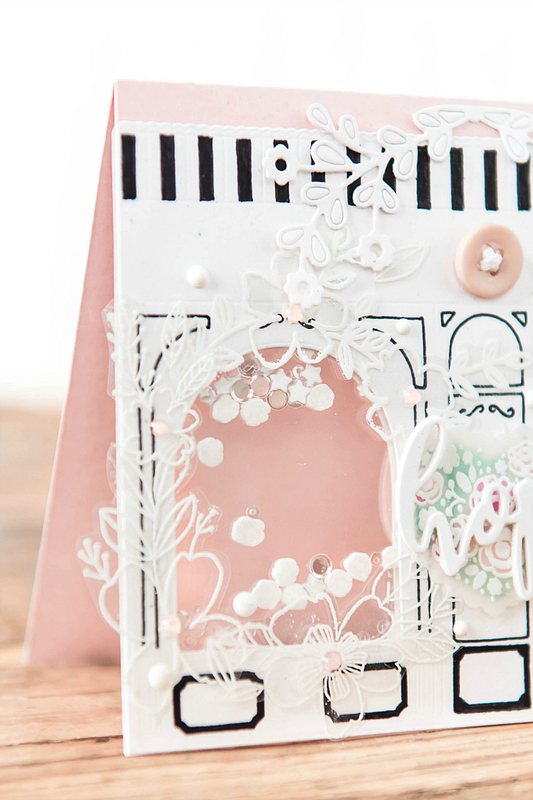 Also check out Maria Helena's cute birdhouse card , recently added to the gallery! This list features some affiliate links to products used in the project(s) above. 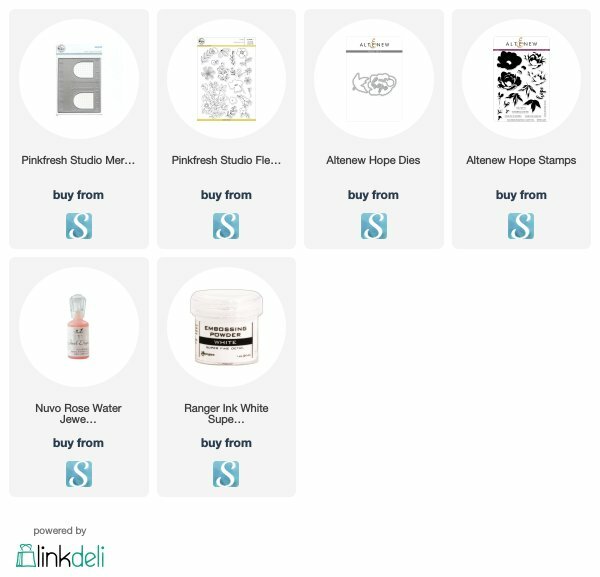 Should you use these links before shopping, it will never add any extra cost to your purchase, but it will go a long way in helping support this blog and exciting new content. Biggest thank you's for visiting and for your support! It really means so much. This is ever so delicate and feminine Ivana, just dreamy! 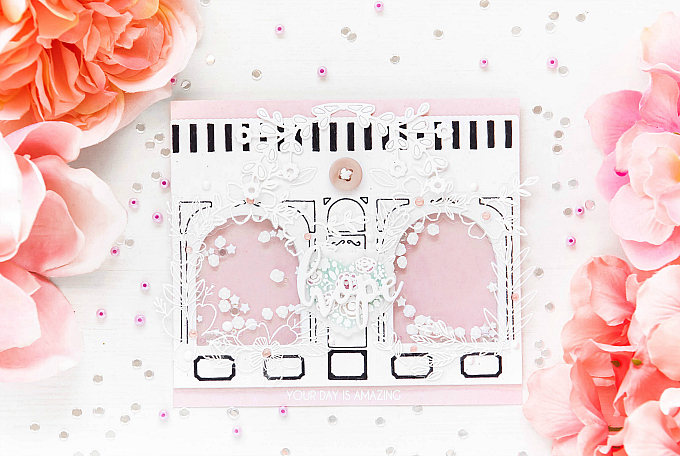 Love the shaker card windows and what a fun design Ivana.